I’ve been adjusting this past week to life back at school as I get my masters in English. That said, I’ve been a bit too disoriented to write a solid post. Although I’ve had some ideas and halting drafts, nothing coalesced. I’ll try my best to post something this coming Sunday. In the meantime, here’s a compilation of the Sagan series, nine well-crafted videos using audio from the cosmologist Carl Sagan who died in ’96. 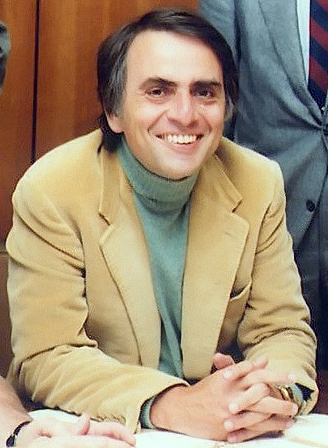 The creators wanted to inspire science literacy, a lifelong crusade for Sagan. In light of the recent photograph from the Cassini spacecraft, I think Mr. Sagan’s words are especially relevant. But for me, they are always relevant. Enjoy.